Hayground Bazaar & Market this Saturday! 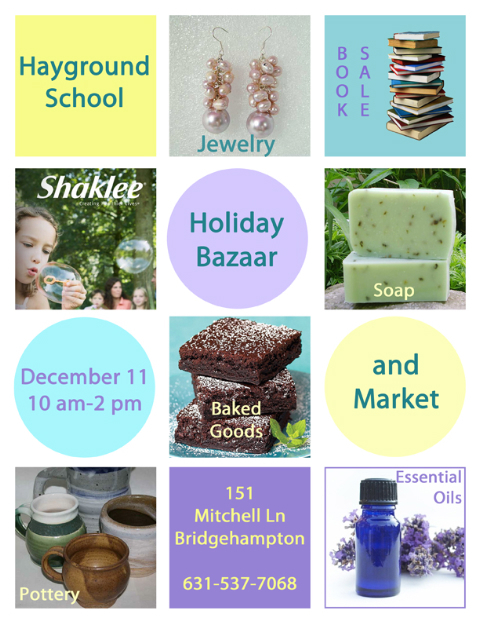 Posted on December 9, 2010 by Southampton Soap Co.
Join us this Saturday, Dec. 11th at The Hayground School from 10-2pm, for the Hayground Bazaar & Market filled with beautiful handmade gifts. 151 Mitchells Lane in Bridgehampton.